Android Lollipop was launched back in 2014 and is available on many Android devices. To help you get the most out of your handset, here are some of the best tips and tricks for Android Lollipop – and they might help you avoid some of its problems, too. You can get access to more options in your notifications bar. Instead of swiping down with one finger, twice, try swiping with two. This shortcut will bring you immediately to your quick settings menu, where you can adjust your brightness and access Wi-Fi options, among other things. Android Lollipop comes with a variety of lock screen security options. You can choose from the classic pattern, PIN, password or fingerprint reader (so long as your device is equipped for it). Whatever device you have, make sure you choose to secure your device against unauthorized use. Getting to your security settings in Android Lollipop is easy. Go into Settings and tap Lock screen and hit Screen lock, which should appear at the top (for some, it will be in the Security settings). From there you can choose between the different options. It's recommended that you choose the PIN or password option because they are the most difficult to crack. Swipe is easy to figure out as someone glancing can easily pick up your pattern. Speaking of your lock screen, you can also customize it to your liking on many Lollipop devices. Go back into your Lock screen from the Settings menu. From here you can choose between a number of different items you want on it. On Samsung TouchWiz devices, for example, you can choose what kind of clock you want by tapping on the Clock size and Dual clock settings. The Clock size menu is pretty self-explanatory. In the Dual clock settings you can choose whether you want the phone to display the local time along with your home time when you're roaming. You can also choose whether you want the date under the clock. You can get a camera shortcut in the lock screen if you take a lot of pictures and don't mind if the device is unlocked first. You can get weather information too by checking the box. If you want more time before your phone locks you can tap Lock automatically and choose another duration. You can also choose whether the phone will lock automatically by checking the Lock instantly with power key box. Android Lollipop comes with a new battery saving modes. For most devices you just need to go to Settings tap Battery hit the menu (the three dots at the top right of the screen) and choose Battery saver. You will save battery as a result. If you have a Galaxy S5, HTC One M8 and a few other devices you have a new power saving mode. Just go to your Settings and tap Power saving. From here you can toggle Power saving mode. You can also activate Ultra power saving mode to really save your battery. What other Android Lollipop tips and tricks do you know about? Tell us in the comments below. I have an Excelvan D6 smartwatch, actually, a stand-alone phone. It is a label engineered No.1 device with an Excelvan version of the operating system loaded. 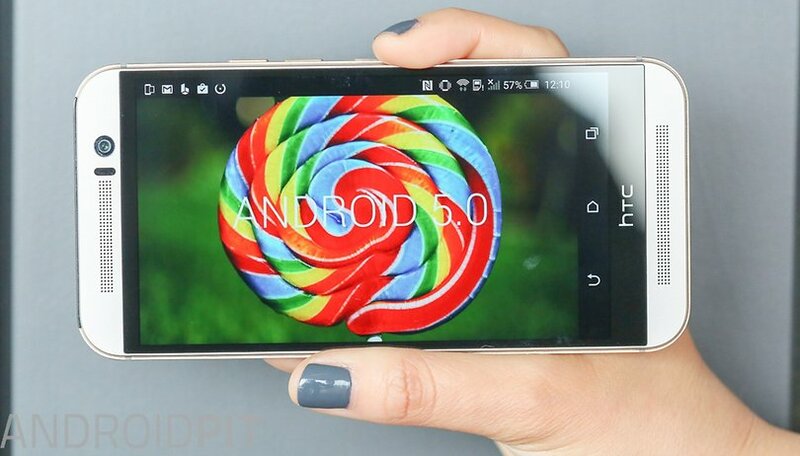 It is running Android 5.1. Naturally, it is cut down to some extent, but there is no idiot's guide on running this system in this, or any other smartwatch I know of. It is a pain to have to thumb through the index page to find the phone and contents list to make a call, and the ok google software had to be downloaded, and the version I got seems not to work correctly, or am I just stupid? This is a nice smartwatch, but setting it up to be user-friendly is a pain. Is there anyone out there who knows of a good idiot's guide, or is prepared to write one? How do I leave a text note on my lock screen like my email or alternate phone number in case I lose my phpne? Just put it this way: Lollipop is real crap. My phone shuts down itself, resets to January 1st 1970 when restarted, WiFi turns itself on, camera storage settings go back to internal storage instead of SD card on restart or after shutdown. Of course, needless to say it is after factory reset to try to get rid of these bugs. I was before on Jelly Bean, it was soooo much better! That was good article.. thanks. What I have is a 5.1.1 so I can't tell if it works the same. But I do know apps like BOA, PayPal, CapOne360, Express Script don't work with lollipop. The other thing that is bothering is the fact that the only thing I can save on my SD are photos and videos. Great if I could transfer from Google photos but not allowed therefore is taking too much space. No good. ..
Iraida, I can not use my wells fargo app with my kitkat. it tells me I need 5.0 to deposit checks with my phone. this is the reason I am trying to update. you say there are apps that dont like the 5.0 that liked the kitkaty? do you mind telling me which ones? "Ditch that dead email app"?! What a silly remark. I had always used that app for any email accounts that weren't Gmail. It certainly wasn't a dead or useless app to me!! As for allowing Google to handle my other private accounts, I am not comfortable with that! This is yet another example of Google showing their ugly side, taking away a person's choice, as well as forcing you to use their apps or services instead of someone else's. I already knew this stuff but "Ditch that dead Email app" killed me. I use the Email app for my Outlook/Hotmail account. nice article but I already know these stuff..
Pinnin is useless because if someone tries to exit the screen they are on a message comes up telling them how to unpin....totally pointless. Defeats the purpose of pinning in the first place. I cant see any option anywhere to lock it with a swipe pattern or pi number. Also stellarium stopped working after i updated to lollipop. And why does lollipop have a white background all the time..battery lasts nowhere near as long as it used to on kitkat..im not happy with lollipop at all..so far the only advantage o have seen in lollipio is being able to use apps that dont work with kitkat..this is the only reason i switched to lollipop. I was running kitkat till last week. Darren: In Settings, Security, Screen Pinning, turn the "require unlock" toggle off, then on again. If you have a pattern, pin, password, it will require that to unpin; or will ask you to set one. Voila, now someone unpinning an app has to provide the unlock key. There's a bug that you have to disable, and reenable, the lock option for it to take hold if you have it enabled (as I did). When I updated my moto g to lollipop it screwed my phone up to where the battery all of a sudden will show 83rd dead and shut off, plug it in and it might show 30% to 100%. 5 min or so it'll beep that it's got 5% again. I have factory reset the phone and wiped the catch partition several times but that's not working. Please help! And yes it was an actual update sent by the manufacturer, it's not rooted and I didn't try and flash lollipop on. William, I had the same problem with my Moto G when it upgraded to Lollipop. The way I fixed it was to recalibrate the battery. You need to let it go totally flat to 0%, then recharge it to 100%. That's what fixed it for me, hope it helps you too. I now have a new Moto X Style, and I'm in no rush to upgrade to Marshmallow for fear of having similar problems again, Lollipop is okay for now. Good luck William. Pull tab, for multi window missing. Anyone else experiencing this? Could this be a lollipop problem? screen pinning is not available on the Verizon S4 Lollipop update. Thanks for the article. Netflix app, Hulu, or BBC is great on Android. If live outside USA, you can use tools like UnoTelly to get Netflix on your Android.